You could use Google Analytics to identify higher bounces on your website. However, Google Analytics will not allow you to get a granular enough view to full understand those bounces. 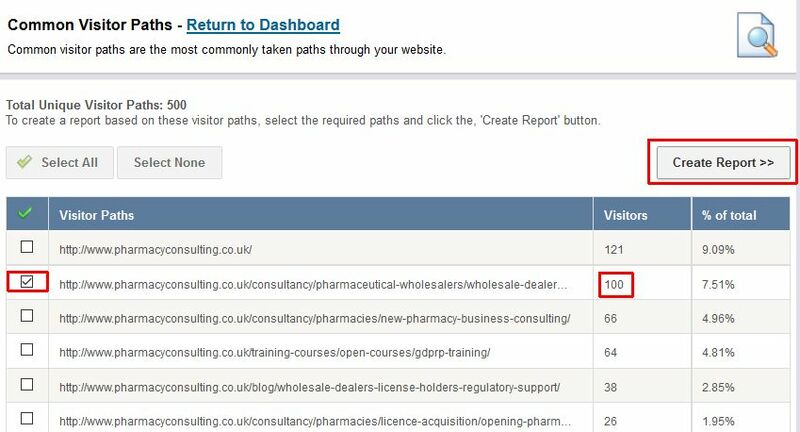 By investing time in analysing common visitor paths within A1WebStats, you will identify opportunities for improvement – leading to lower bounce rates and higher enquiries/sales. The starting point with analysing bounce rates is to first of all select a date range within your A1WebStats account. Typically, a month is suitable. 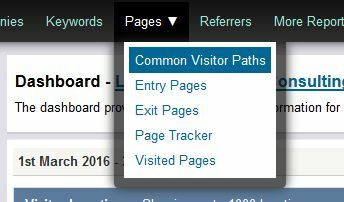 Then select ‘Common Visitor Paths’ from within the ‘Pages’ navigation bar option. 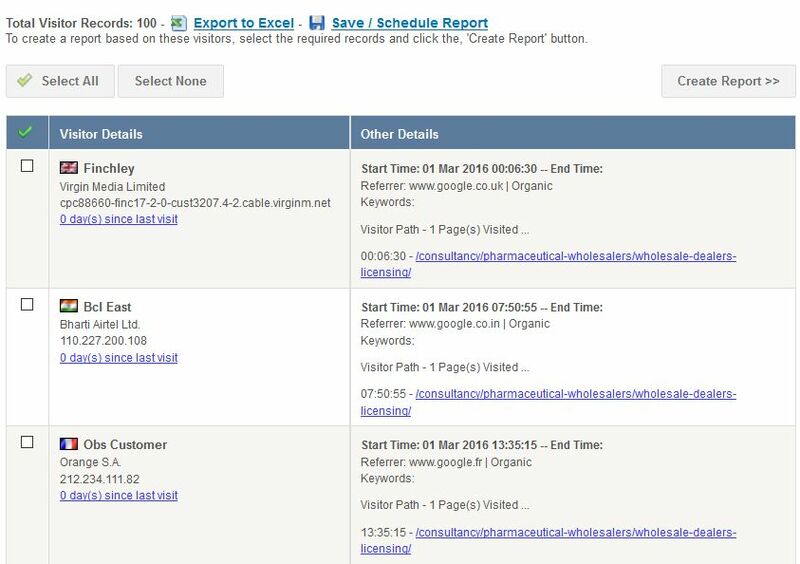 The example below shows that, apart from the home page having 121 visitors bouncing from it, there were 100 visitors bouncing from the next highest page and so it’s worth investigating further by ticking the box and then clicking on ‘Create Report’. You will then see a detailed view of all the visitors who went no further than the page they landed on and by scrolling through them you can get a general picture of how those people entered the website (e.g. Google search) and which countries they were from. By using Advanced Reports you can investigate those high bounces in more detail. 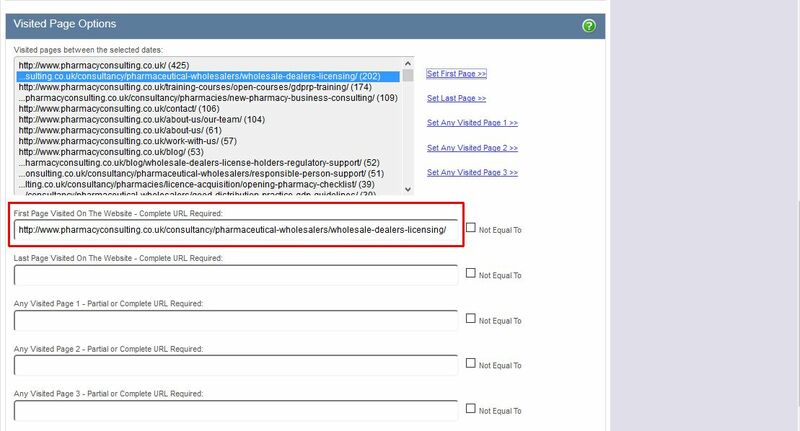 The screenshot below shows the first part of the filtering, after we’ve been into ‘Advanced Reports’ from ‘More Reports’ in the main navigation bar. The filter above selects just those people who landed on that particular page (that had 100 bounces). But we only want those who viewed just the one page so we also select the filter as shown below before clicking on ‘Apply Filter’. Below you can see a summary view of some of the 100 visitors who bounced from that landing page. 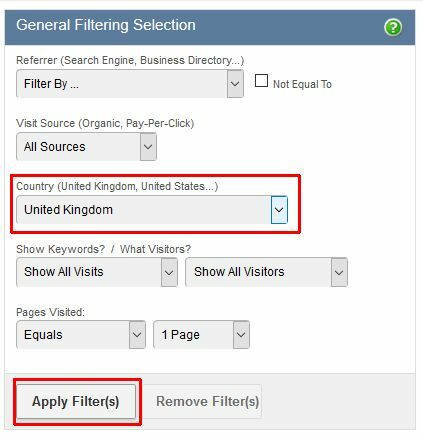 It would be an error to automatically think the page in our example has a poor bounce rate problem because, in this case, the business doesn’t target outside the UK so what we’re interested in is filtering just by visitors from the UK, as you can see below. Now the picture changes to 76 UK visitors who went no further than that page they landed on as you can see below. That’s still not a pretty picture but it’s not as inaccurate as the 100 page bounces initially identified. 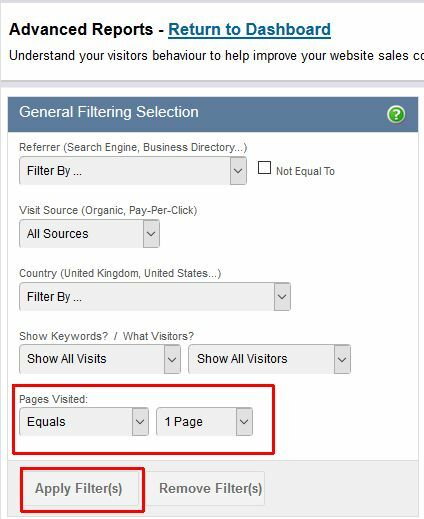 Using Common Visitor Paths within A1WebStats can be useful to get an overview of which pages have higher bounce rates but it’s worth spending time using the additional functionality within A1WebStats to dig deeper into those bounces so that there’s a more accurate picture of the problem.